ATLANTA, February 22, 2016 – You would have to be asleep or living under a rock to not notice the amount of recent construction activity happening in Midtown Atlanta. What many may not know is how long this growth has been taking place and how a select few visionaries planted the seed over a decade ago to make this activity a reality. Construction has always been a fascination of mine. The transformational process of taking something that began as raw dirt, stone, hillside or even an urban pay parking lot, turning it into something of form, beauty and function is what it’s all about. From the earliest days of helping my father, a general contractor in Tennessee, to my first landscape installation of Bruno’s Food World in Lake City, I have enjoyed the results of hard work. 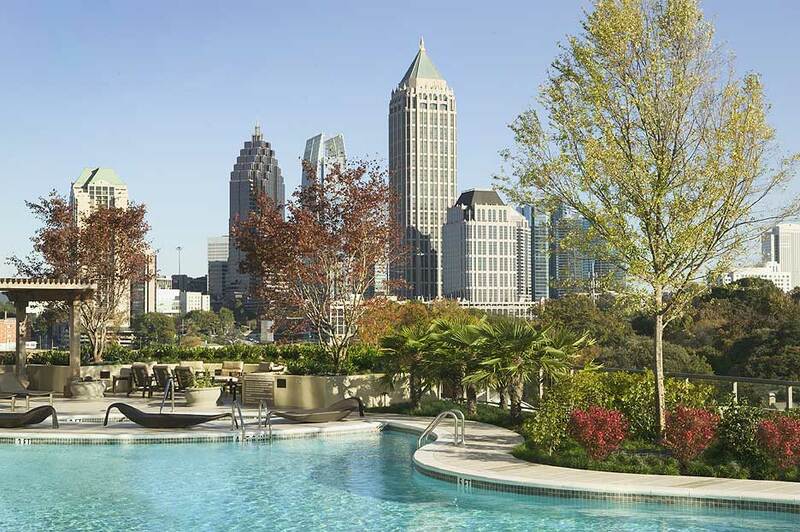 In a recent Curbed Atlanta article, 41 projects were highlighted as recently constructed, under construction and proposed for future development. We are proud to declare 60+% of the completed projects to date have been completed skillfully by Gibson Landscape employees but that has not always been the reality. Over time our reputation as the go-to midtown landscape company has grown entirely by referral and our reputation as a quality contractor. It was only 2007 that we won our first midtown assignment in plaza construction & landscape maintenance service at The Atlantic. These questions will continue to guide our actions within Midtown Atlanta.